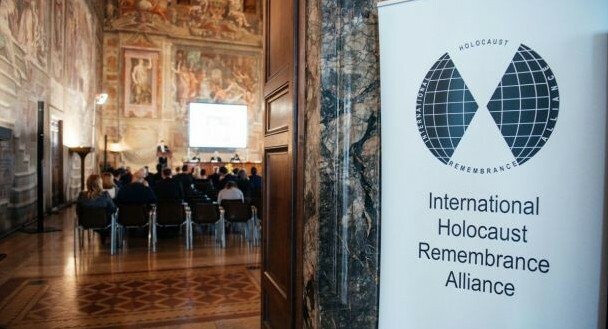 The European Jewish Congress (EJC) sent a letter to all Members of the European Parliament calling on them to support the adoption of the International Holocaust Remembrance Alliance (IHRA) definition of antisemitism by the European Union at a vote on a comprehensive Motion for resolution on combatting antisemitism, which will take place on June 1st. “We fundamentally believe that the absence of an accepted definition of antisemitism in the legislation of some member states and indeed, the European Union itself, acts as a major obstacle in addressing the real security concerns of our communities and thereby preventing the efficient use of resources by governments in their primary role to protect their citizens,” wrote representatives of Jewish communities in EU Members States, led by EJC President Dr. Moshe Kantor. On 26 May last year, the IHRA’s 31 member countries adopted a working definition of antisemitism. The consensus decision on the adopted decision was reached after in-depth discussion of the issue during the IHRA Plenary meetings held in Bucharest from 23-26 May. The letter notes that 24 European Union states are members of the IHRA and therefore signatories to the IHRA definition. “We believe that the affirmation by the European Parliament and the support of all its political groupings of this clear, recognised and effective tool in fighting the scourge of Antisemitism will send an important message to those in our communities concerned for their security and their fundamental rights in Europe and be a facilitator for the important measures required both at the legislative and the practical security level for all Member States to tackle antisemitism,” the signatories wrote to the MEPs. If the adoption of the IHRA’s definition were to be excluded from the text, it could potentially void such resolution of the practical aspects of combatting antisemitism on the ground.